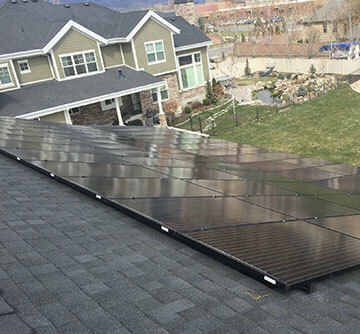 A never ending battle in the solar industry is being waged over what is the best solution for converting solar power into usable power in the home. Enphase vs SolarEdge seems to be the modern version of classic childhood arguments of Nintendo vs Sega, Batman vs Superman and Windows vs Apple. For those who are new to the idea of solar power installed on a home or business, solar panels produce electricity in the form of direct current (DC), typically around 30 volts per panel. To make the electricity usable in the home, an inverter that converts the electricity from direct current (DC) to alternating current (AC) with 240 volts is installed. 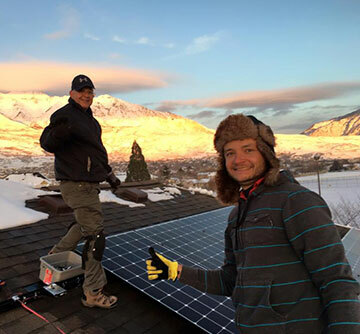 There are three schools of thought on how the inverter and solar panels should be installed- traditional string inverters, microinverters and DC power optimizers. Today we are going to explore some of the differences between microinverters and power optimizers, specifically pitting Enphase vs SolarEdge. Installation flexibility – multiple roof slopes, azimuths, module mismatch are not a problem. This means placing panels on complicated roofs is not an issue. Modular – up to 16 M250 microinverters can be installed on a single circuit. 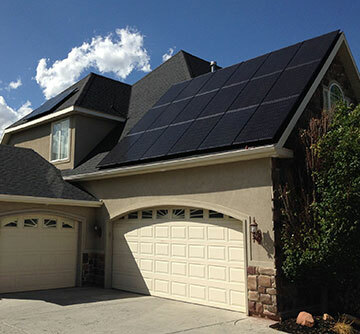 If the homeowner opts to install, lets say 10 panels up front, they can add to it with minimal effort at a future date. Shading – panels shaded by chimneys, trees, vents, etc. are the only panels affected. This includes snow – once the snow slides off a panel, it will produce power, regardless of other panels circumstances. Monitoring – daily production can be monitored on nearly any internet connected device. However, it must be noted that panel by panel production is only available to installers and individuals who pay an extra $250 fee to Enphase. 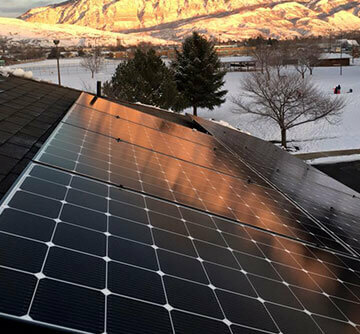 Longer Strings – In the climate of Utah, we can install up to 19 modules on a string, compared to 10-14 on traditional string inverters or 16 on an Enphase system. Modular – Although not as modular as Enphase, multiple slope or azimuth installations are now possible, unlike traditional string inverters. There is also potential for expansion if the string inverter and string itself is not overloaded (i.e. 10 modules were installed on a string originally, and 8 additional modules are added later). The one caveat – there needs to be a minimum of 8 modules on a string to start up. Energy Harvest – Assuming the string inverter is sized properly, greater power production is possible. We have seen panels output greater than 260 watts, which would max out an Enphase M250, resulting in “clipped” power. Monitoring – SolarEdge offers free monitoring, including panel by panel production. We are still comparing the two different manufacturers for ourselves and want more data to draw full conclusions. 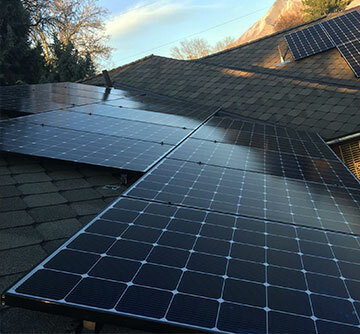 However, below are two very similar systems that we installed, located about a mile apart, that are worth comparing in the Enphase vs SolarEdge battle. Our conclusions are below. Potentially higher energy production – We have already seen up to 260 watts output on top performing panels. This would have been clipped on an Enphase M250. Future battery tie in – A string inverter is much easier to tie a battery system to. However, inverters are only getting less expensive, so a non-solar tied battery system with an incorporated inverter is not out of the question as a solution to those with Enphase systems. Heat – Much of the efficiency lost in any inverter is heat. With SolarEdge, the inverter is no longer located on the roof, potentially increasing efficiency and reducing future maintenance issues. This does not mean we don’t support Enphase, only that there are pros and cons to each system. We are excited to get more data as we continue to use both products. We will definitely update this blog post as we get more data and can potentially crown a victor in our Enphase vs SolarEdge battle!